Ashi Singh Is GLOWING In Her Latest Captures! 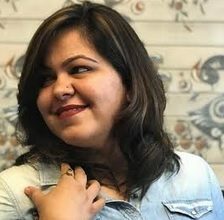 Ashi Singh aka everyone’s beloved Naina of Yeh Un Dinon Ki Baat Hai, is someone for whom we can go on praising about and never get tired. An undeniably fantastic combination of beauty with brains is what she can be correctly called as we are sure you’d vote in yes for that. And if not, then The latest clicks of this beautiful young actress are bound to make you nod in agreement. 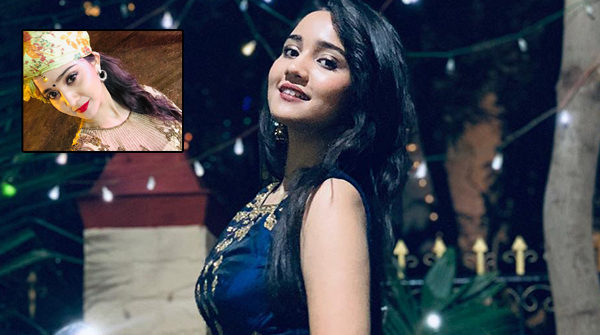 Although everyone already has had a good view of how gorgeous she looks as Naina in all the nineties style traditional wear, these off-screen glimpses of Ashi Singh in a wedding style are a whole new level of worth staring at! Clad in a dark blue and golden embroidered lehenga and choli, letting the hair down and minimally accessorizing it, she looks ethereal and how. That pagdi in a few, adds to her bubbliness, isn’t it ?! How does pagdi look on me ? The first set of pictures is nice!!! !